I grew up in Baptist churches that actually did celebrate Advent! We did not go as in depth as many liturgical churches do, but I have fond memories of a different family lighting the Advent candle for that particular week in church and sharing a short devotional or Scripture to go along with the passage for that week. I remember the purple candles, with one pink, and one white in the middle to be lit on Christmas Day. I loved Advent before I even know all that it entailed. Now that I’m learning even more about this season of waiting, I’ve come to love it even more. Can different denominations celebrate Advent? Is this just a Catholic tradition? This Baptist girl loves celebrating Advent. I love the focus on waiting on God. I love the reminder that Jesus is the true hope of the world, the LIGHT of the world. I love the candles, I love it all. Advent doesn’t have to be elaborate. In fact, for me, the more simple, the more meaningful it becomes. Advent doesn’t have to be Pinterest perfect. Light a candle each night at dinner and read a verse from one of the books below. Read one of the books below at bedtime. Pray each day in December and thank God for the gift of His son. There are many Advent traditions, but we aren’t bound by those traditions. Just making this time of year special, with a focus on Jesus, is just what we need sometimes! Advent is a 4-week period of time around the birth of Jesus that Christians celebrate. It traditionally starts 4 Sundays before Christmas Day. In the Christian Church, Christmas is celebrated starting on Christmas Eve and going forward 12 days, ending on January 6th, which is called Epiphany. The Advent Season leads us into the Christmas season, a preparation of our hearts, for celebrating the birth of our Savior. For Catholics, this Advent season is also the beginning of their Church-year calendar as well. The Advent Season is a season of waiting. We are reminded, like our forefathers of the Old Testament, that we are desperate for a Savior. And, while Advent is a time of remembering it is also a time of waiting for the second coming of our Savior! We wait with anticipation! There are many traditions that have held strong for many years in the Christian Church. Many assume that if you celebrate Advent you are Catholic or Lutheran. While these denominations do have more tradition steeped into their Christian year celebrations, many Protestants also celebrate Advent right along with brothers and sisters from other Christian denominations. Jesus, Light of the World: Praying the Scriptures Through Advent – BRAND NEW from His Mercy is New. 31 Days and 31 Scriptures of LIGHT, helping us to focus our hearts and thoughts on Jesus, Light of the World, this advent season! God Is in the Manger: Reflections on Advent and Christmas – These stirring words are among forty devotions that guide and inspire readers as they move thematically through the weeks of Advent and Christmas, from waiting and mystery to redemption, incarnation, and joy. Supplemented by an informative introduction, short excerpts from Bonhoeffer’s letters, and passages from his Christmas sermons, these daily devotions are timeless and moving reminders of the true gift of Christmas. Watch for the Light: Readings for Advent and Christmas – Though Christians the world over make yearly preparations for Lent, there’s a conspicuous lack of good books for that other great spiritual season: Advent. All the same, this four-week period leading up to Christmas is making a comeback as growing numbers reject shopping-mall frenzy and examine the deeper meaning of the season. Ecumenical in scope, these fifty devotions invite the reader to contemplate the great themes of Christmas and the significance that the coming of Jesus has for each of us – not only during Advent, but every day. Whether dipped into at leisure or used on a daily basis, Watch for the Light gives the phrase “holiday preparations” new depth and meaning. Advent and Christmas Wisdom from Henri J.M. Nouwen: Daily Scripture and Prayers together with Nouwen’s Own Words – The inspiring words of Henri J. M. Nouwen guide the faithful on a spiritual journey through the Advent and Christmas season in this book of waiting, hope, anticipation, and celebration. Each day of the Advent season (28 in all, to accommodate the varying number of days in the season) and each day of Christmas (12 in all, ending with Jesus’ baptism in the Jordan by John the Baptist) contain a pertinent excerpt from the writings of Father Nouwen, a related quotation from Scripture, a prayer for the day, and a suggested activity that offers a concrete response to mark the season. The Jesse Tree – Geraldine McCaughrean’s fresh retellings of familiar Bible events and Bee Willey’s whimsical and striking illustrations create a rich and contemporary tale that will captivate readers who know and love these stories as well as readers who are discovering them for the first time. As Mr. Butterfield carves a Jesse Tree in a dusty old church, a curious young boy distracts him by asking about the various symbols on the tree. Against his inclination, thegruff old man finds himself retelling the familiar biblical tales that trace the family tree of Christ, from the Garden of Eden to Jesus’ birth. Under the carpenter’s skilled hands, the Jesse Tree grows—and an unlikely friendship begins to take root as well. The Advent Jesse Tree: Devotions for Children and Adults to Prepare for the Coming of the Christ Child at Christmas – This is the book my MIL gave us that we have used for years, she used it with my husband and siblings when they were little! This book offers 25 devotions for each day from December 1st to December 25th, Christmas Day… the day Christians celebrate that God’s purpose was finally revealed in the coming of the savior, Jesus Christ. Each devotion traces the heritage of Jesus through the stories and prophecies of the Old Testament. The Greatest Gift: Unwrapping the Full Love Story of Christmas – One of my favorite authors, Ann Voskamp, released this book LAST Advent, it is fabulous, of course. Beginning with Jesse, the father of David, The Greatest Gift retraces the epic pageantry of mankind, from Adam to the Messiah, with each day’s profound reading pointing to the coming promise of Christ, so that come Christmas morning you find that the season hasn’t blurred past you but your heart’s fully unwrapped the greatest gift you’ve always yearned for. I also shared a free printable schedule for reading this advent book alongside the Jesus Storybook Bible last year. Go here to print off a copy for yourself. Unwrapping the Greatest Gift: A Family Celebration of Christmas – Now Ann Voskamp has a CHILDREN’s advent book to complement the book she released last year for adults. 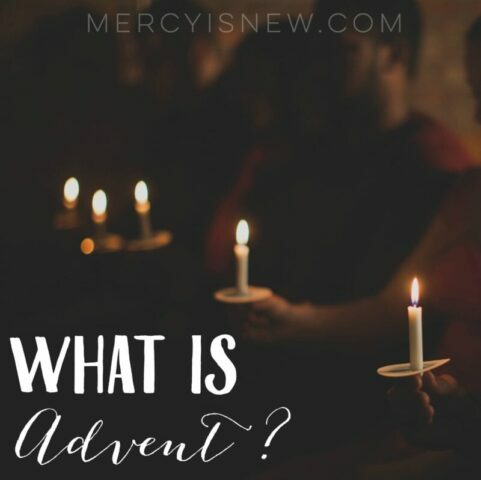 Each day, families can read the provided Scripture passage (in connection with the original book), engage with a specially written devotion to help children of all ages understand the Advent theme for the day, and participate in suggested activities to apply the theme. Jotham’s Journey: A Storybook for Advent – These stories by Arnold Ytreeide will draw you in and you will want to keep reading and reading. I love these books! In this widely popular, exciting story for the advent season, readers follow ten-year-old Jotham across Israel as he searches for his family. Though he faces thieves, robbers, and kidnappers, Jotham also encounters the wise men, shepherds, and innkeepers until at last he finds his way to the Savior born in Bethlehem. Bartholomew’s Passage: A Family Story for Advent – We love reading this story during Advent as a family! Bartholomew’s Passage is an engaging story that guides families through the Advent season. Young Bartholomew’s adventures start when Roman soldiers destroy his village and disperse his family, continue through his enslavement to a tyrannical master and his escape with his new friend Nathan, and end with a reunion with his family in Bethlehem. Along the way Bartholomew makes a new friend, a young boy named Jotham! Well, friends, I feel I have just barely scratched the surface here! There are so many wonderful and beautiful Advent resources! I hope you and your family can find what you need to set your eyes on Jesus this Advent season. Be blessed!